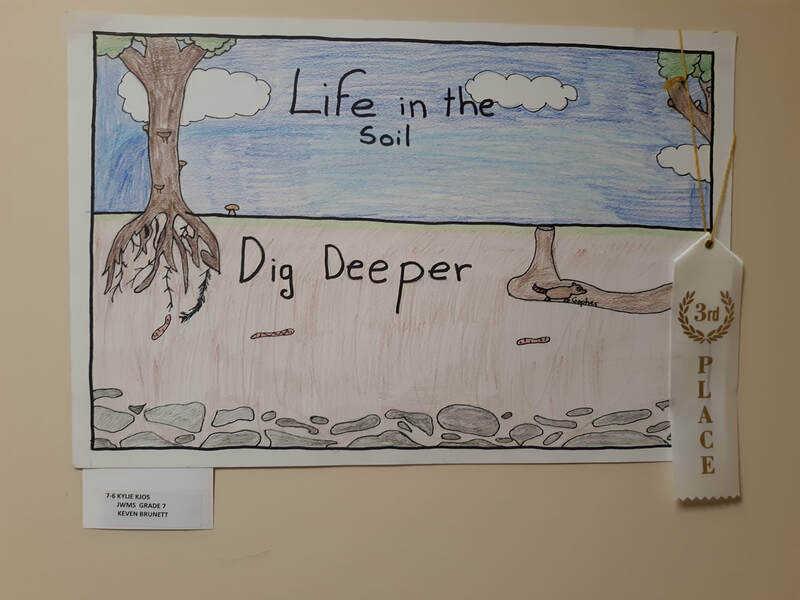 A nice crowd gathered to watch the winners of the Land and Water Conservation Poster Contest receive their awards on Thursday, February 21, 2019. 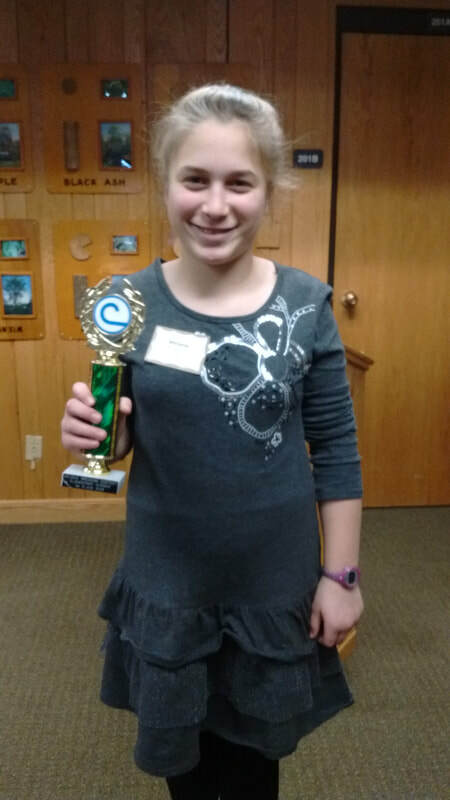 SOPHIA PARISH - JAMES WILLIAMS MIDDLE SCHOOL-GRADE 6 - SECOND PLACE AT AREA! 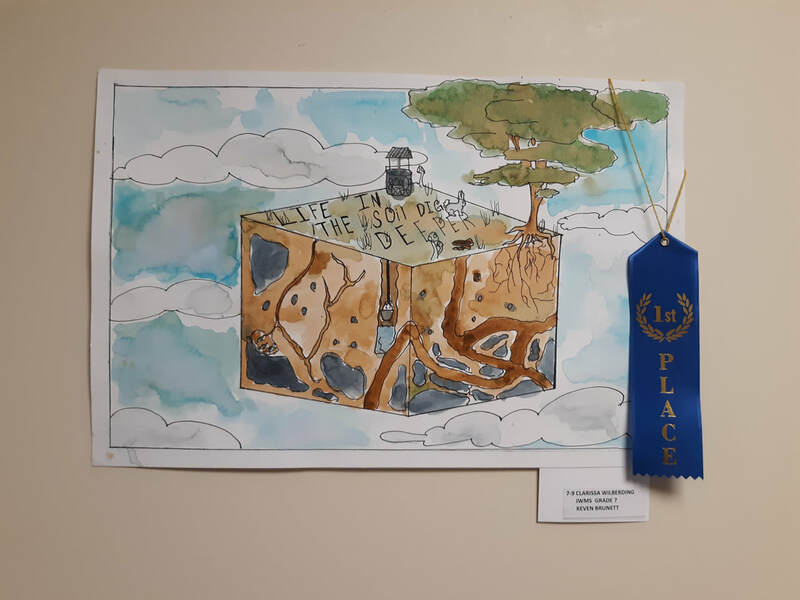 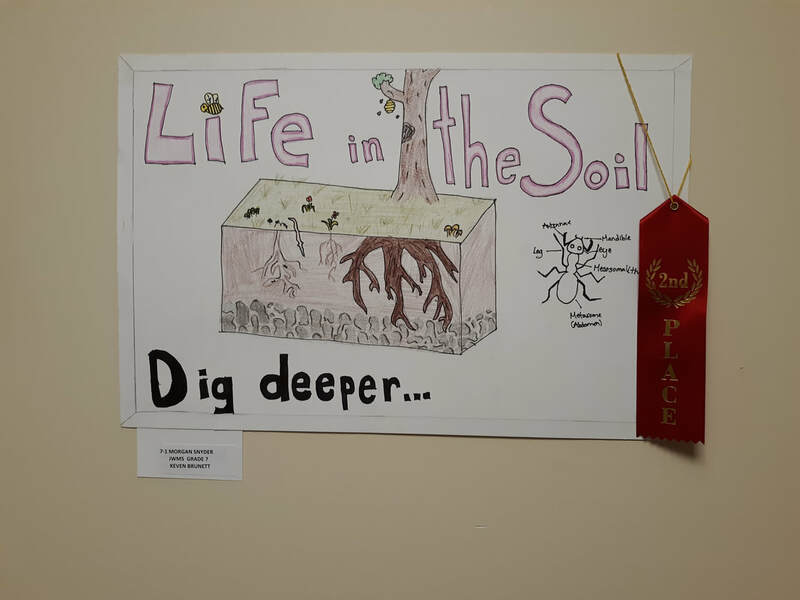 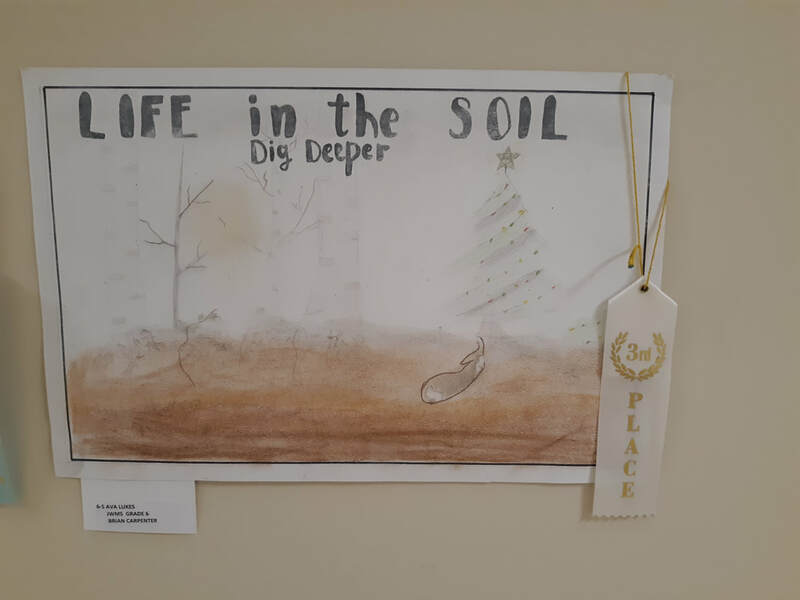 CLARISSA WILBERDING - JAMES WILLIAMS MIDDLE SCHOOL-GRADE 7 - THIRD PLACE AT AREA! 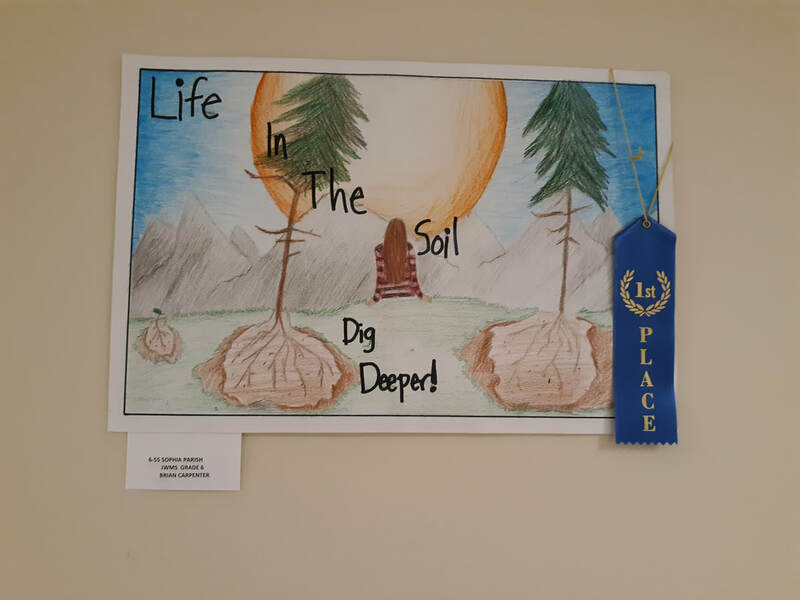 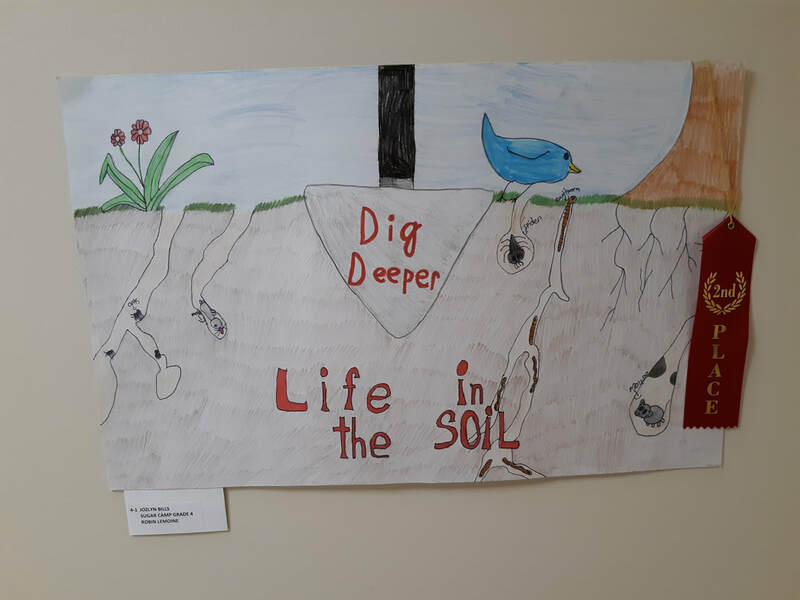 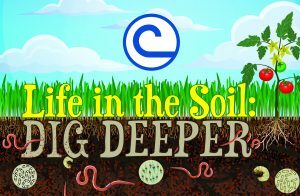 "Life in the Soil: Dig Deeper"